• Reduce your risk of shock and arc flash by validating the functionality of test tools without placing yourself in a potentially hazardous electrical environment. • Source both ac and dc steady-state voltage (supplies 240 V dc/ac). 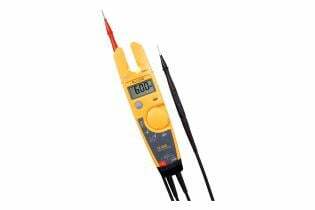 • Compatible with high impedance multimeters or clamp meters. Verify your test tool without unnecessary exposure to shock and arc flash. Using the PRV240FS reduces the need for personal protective equipment (PPE) when a known voltage source is not available for verification of your tester or multimeter before tests are performed*. 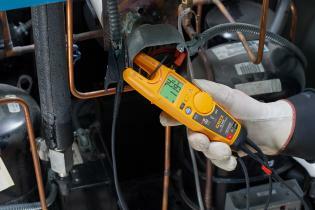 Additionally, the PRV240FS also provides ac and dc voltages for other HiZ instruments in your tool box. A single switch and a set of LEDs indicate functionality of both the FieldSense “no-test-lead” voltage measurement capability, plus standard ac and dc measurements with test leads. This unit is a simple-to-use solution for complying with TBT verification of your test tools. *PPE is still needed for absence of voltage testing when appropriate. 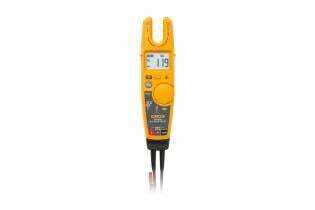 Fluke’s PRV240FS allows you to “Test Before Touch” (TBT), which involves testing your T6 against a known live source before and after the actual measurement. This sequence verifies that your test tool is operating properly during the actual measurement. Class A: Equipment is suitable for use in all establishments other than domestic and those directly connected to a low voltage power supply network that supplies buildings used for domestic purposes. There may be potential difficulties in ensuring electromagnetic compatibility in other environments due to conducted and radiated disturbances. Caution: This equipment is not intended for use in residential environments and may not provide adequate protection to radio reception in such environments. Emissions that exceed the levels required by CISPR 11 can occur when the equipment is connected to a test object.